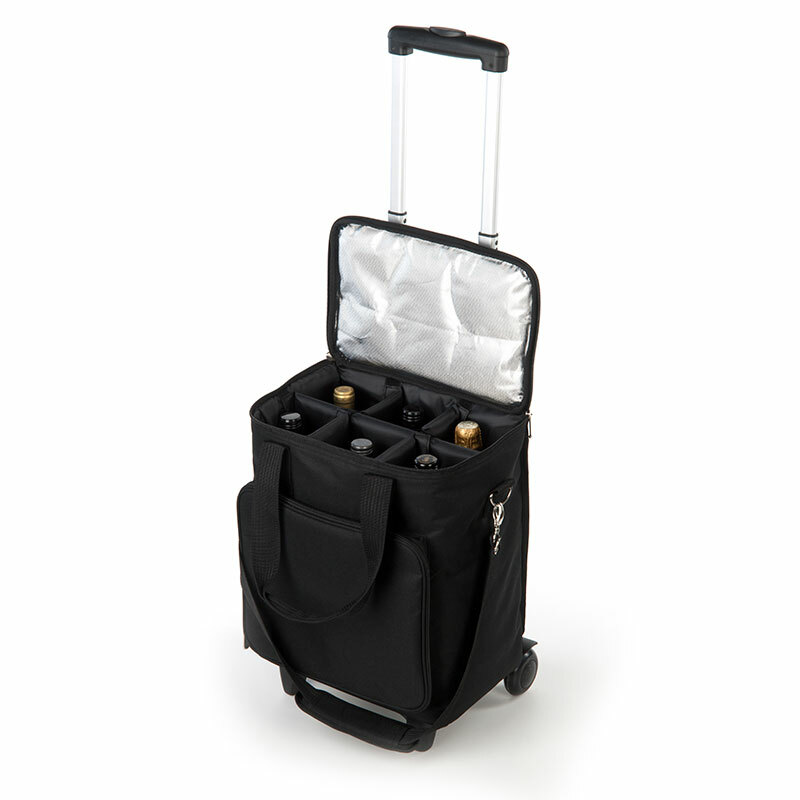 Transport up to 6 of your favourite drinks and bottles of wine in a secure, insulated environment with the Wine Trolley from Waiter’s Friend. Although used by wine professionals in the trade to carry wine bottles to and from tastings, this insulated wine cooler bag is also great for trips to the beach and picnics. 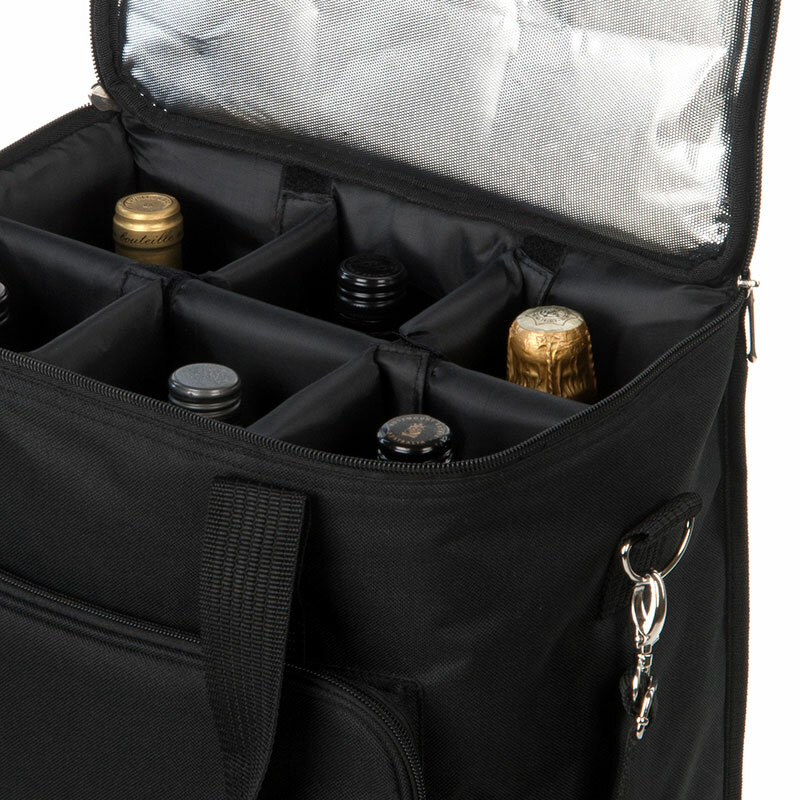 The wine carrier has padded walls for insulation and protection, keeping bottles cool all day. 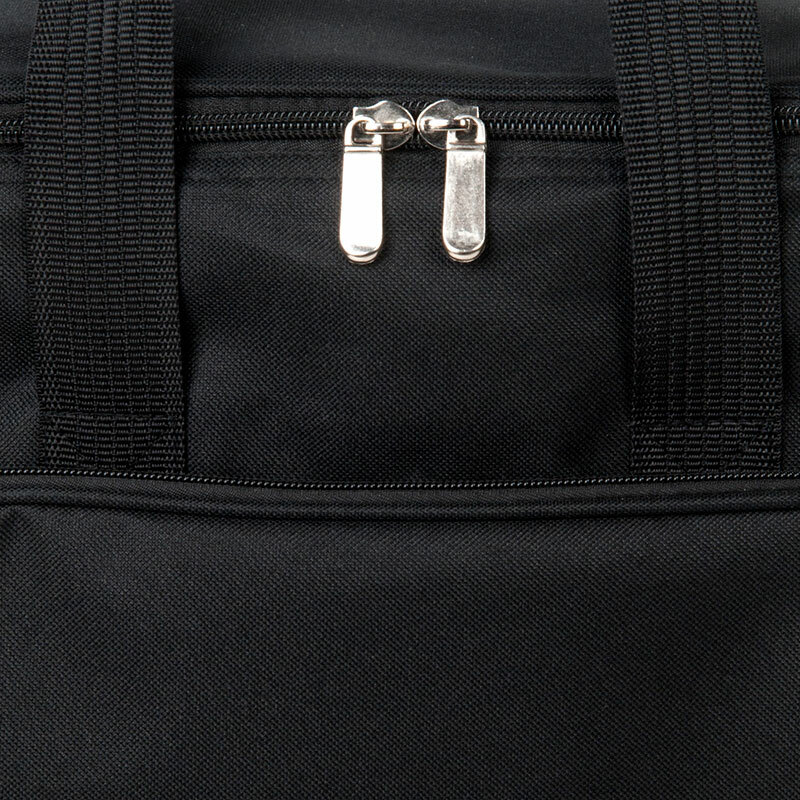 The top of the wine carrier is lined with additional insulation and closes with a zip to help keep the items cold inside. 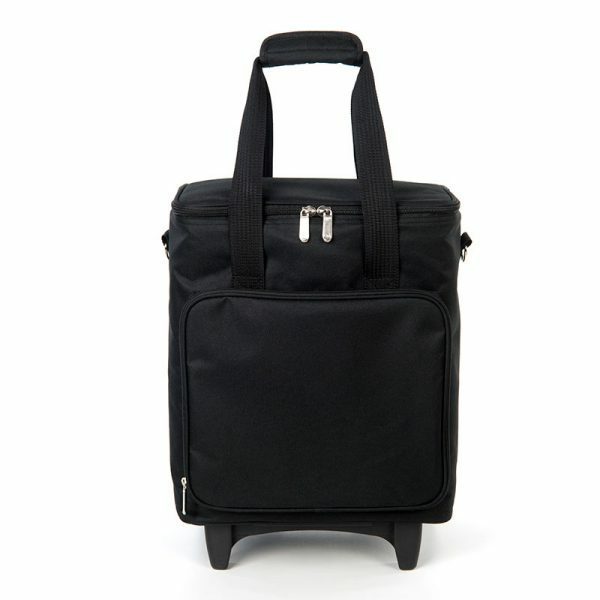 The wine carrier has a zip pocket on the front measuring 30cm x 26cm to fit A4 leaflets and brochures, iPads and small laptops. Extendible handle and sturdy twin wheels for a gentle ride.